Meet The Pounds’ – Carlson Exteriors Inc.
Old Cedar siding was faded. 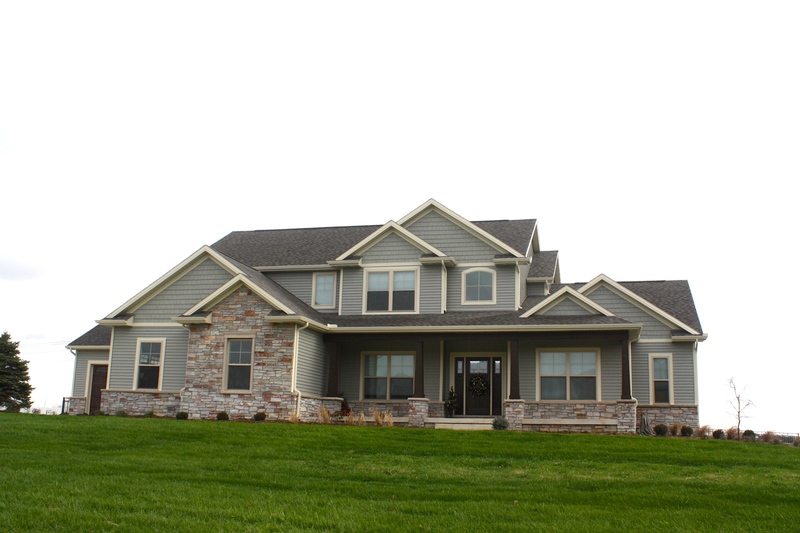 James Hardie Fiber Cement Siding was a great choice to replace the Cedar siding. We had plenty of concerns with locating a qualified installer that was both detailed minded, and knew the key installation points. We did engage several other companies and were not entirely comfortable with most of them for one reason or other (lack of follow through, push for a particular product (vinyl), lack of installation experience or knowledge). 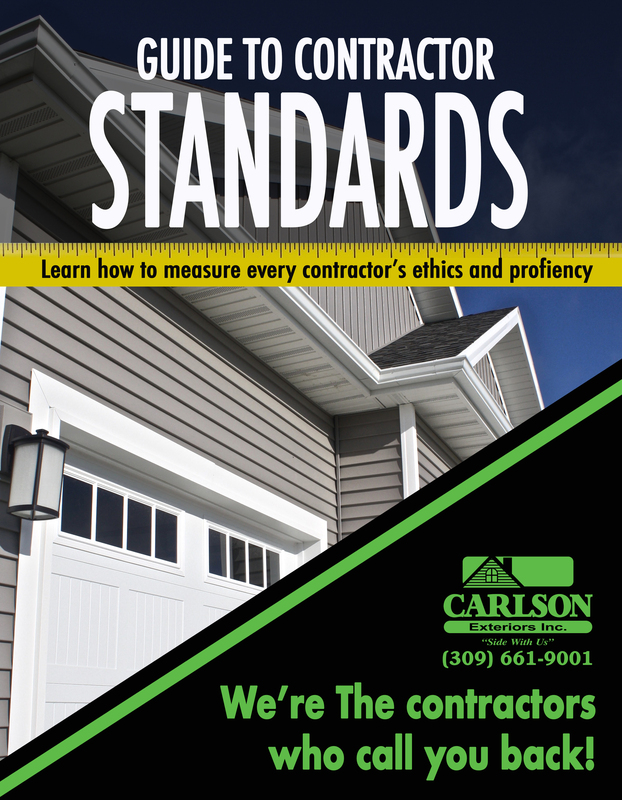 We found Carlson through contacting James Hardie directly, who quickly referred us to Carlson Exteriors. After one visit with Darren, we knew we found the right fit- it was apparent that Darren is very enthusiastic and proud of his work, and knew the available products and manufacturer installation processes. And even though we’re probably one of the most protracted engagements from first visit to installation, we have no doubts we made the right choice. Good pre-engagement work by our project manager, Jason P. Nice to have him on-site for the first couple of days helping address those unknown situations when the old siding starts coming down and you see what you’ve got hiding underneath. Jason’s crew was a good fit for our project, and clearly wanted to “do it right” vs “do it fast”. Detailed work was very evident, especially on some of the challenging fascia and trim work. 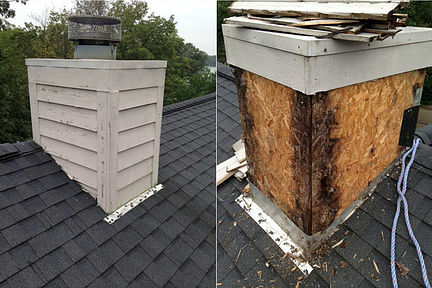 Quick responses and options to the slight snag on our staggered/straight shingle swap out. This was a very understandable problem, in that Darren’s original quote had the staggered as an example, noting they were both about the same cost. Then, with the passage of time and handoffs, the note on going with straight didn’t make it to the final notes, or on the quote. Jason P presented options, and end result was that we regretted we hadn’t caught it earlier- but it did all turn out in the end. Nice job of handling the only problem we know of on the job. (the guys probably dealt with other unknown factors we didn’t even need to know about). Key point on all our interactions with our crew, managers, and office- everyone seems to really care about the end product- which is a HUGE plus for Carlson.We almost feel like empty nesters with the guys not showing up in the morning now.I don’t think there is another company that compares on quality. Although there were less pricey companies out there, I don’t think they bring the value that we see with Carlson’s work over the long haul.